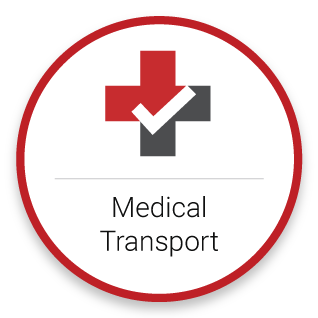 TripSecure™ is a fully funded medical transport, travel security and crisis assistance solution designed specifically for the global transportation industry. 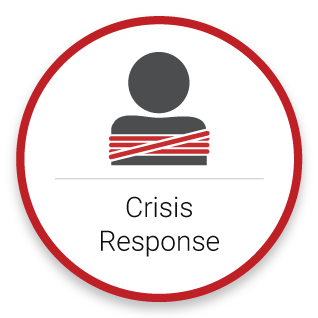 TripSecure™ enhances the travel experience by providing fully funded assistance for medical and non-medical emergencies that impact customers while in the care, custody, and control of global transportation providers. TripSecure™ is an ideal service enhancement for limousine and car service providers, ride-sharing services, the luxury charter transportation space and global security firms that offer secure transportation. From the moment the driver picks you up in the morning, until you are securely back at your hotel, the following incidents are fully covered. During breakfast, one of the executives eats something that triggers a severe allergic reaction and has to be taken to a hospital, then flown home to a hospital of choice for specialty treatment. After having breakfast at the hotel, a huge wave of protesters come down the street and move onto the hotel property, blocking vehicles from leaving. Prior to finishing your afternoon meetings, an earthquake outside of the city shakes the downtown core crippling some infrastructure. 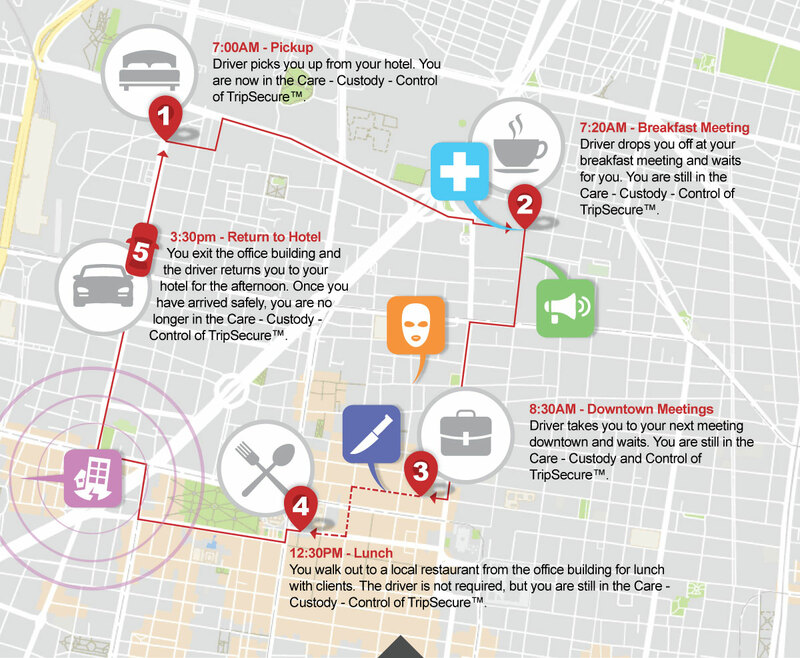 During your meeting downtown, a terror attack happens nearby. While walking to the restaurant for lunch, you are robbed and stabbed. 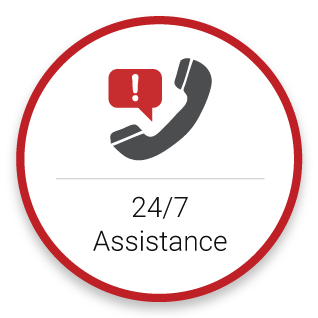 In each incident above, you would receive immediate assistance because you are covered under TripSecure™.